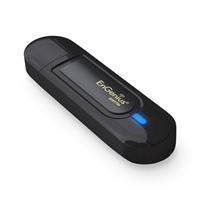 The EUB-9801 300Mbps Wireless N Dual-Band Adapter is designed to provide superior range and blazing wireless speed – anywhere you go. Connect to either a 5GHz or 2.4GHz network. Enhance any USB equipped laptop or desktop with the power of Dual-Band wireless N.
Support O/S: Windows 2000, XP 32/64bit, Vista 32/64bit, Windows 7 32/64bit.